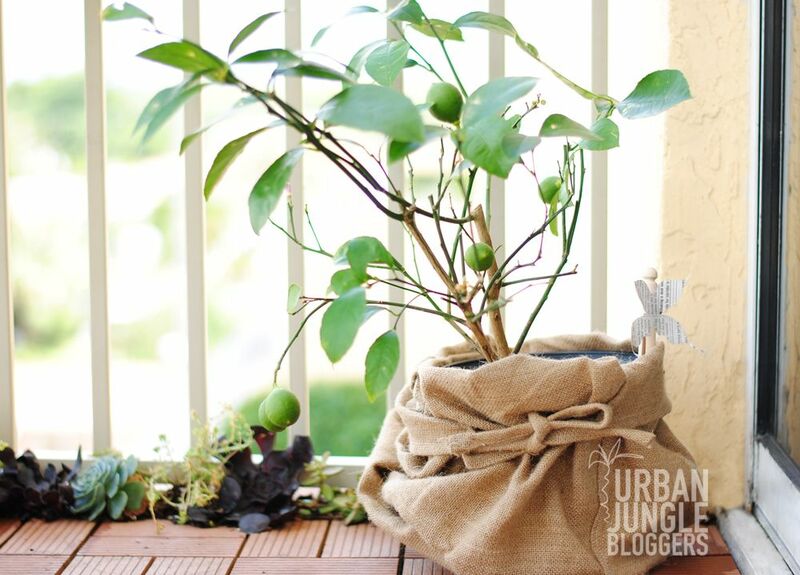 I was ecstatic when I found out that this month’s theme for the Urban Jungle Blogger would be window sills and balconies! I couldn’t resist to talk again about my balcony which was recently redone for +The Home Depot Patio Style Challenge. So today I’m sharing with you a closer look at what I did on my urban space. When designing my balcony I knew I had to have lots of succulents, but I didn’t want them scattered around. So I realized that they would served as a frame to my space and at the same time, enhance the beautiful pattern of the tiles. On this edge I used several types of succulents and try to mix and match as much as possible. I can’t wait for them to grow an multiply. The mix of colors will be amazing. Mr. Snail rocking the “Just do it” attitude! Love that little crawling creature. 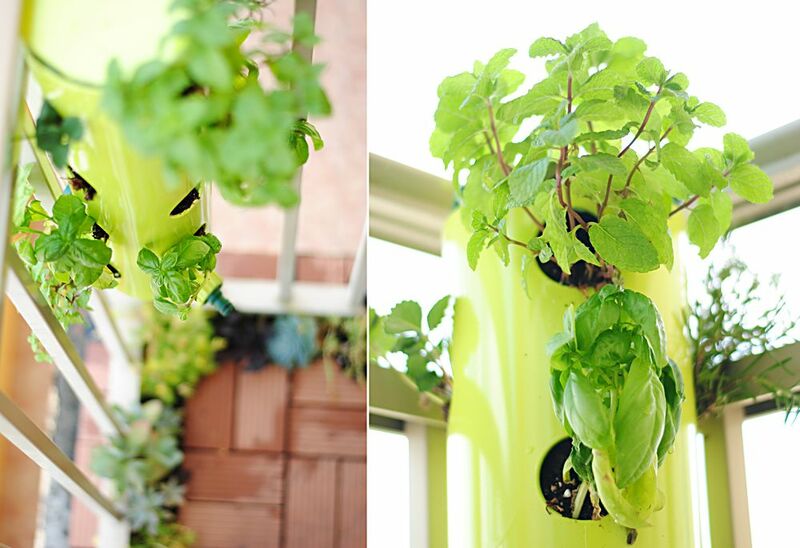 Another thing that I really wanted to incorporate in my balcony was a herb garden. 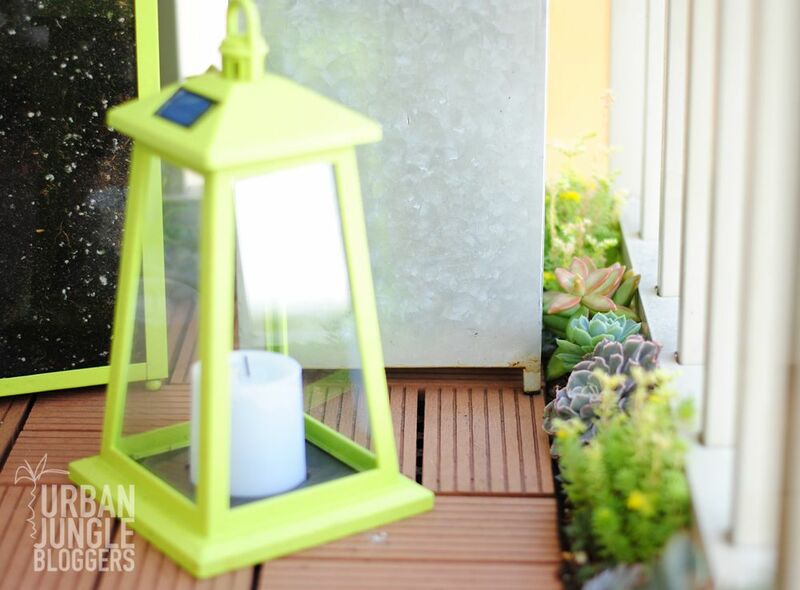 For this I used a Polanter Plastic 3-Way Planter that I painted (using Rust-Oleum) in that Key Lime color that you see. 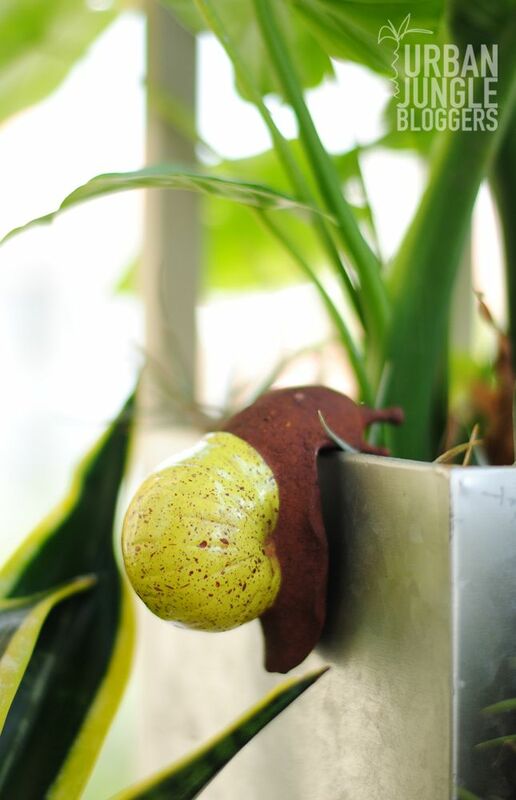 Living in a tropical climate area, I needed a citric plant. So in comes the lemons. Because I didn’t want to transplant it, I took a piece of burlap and wrap it around the container. Loving this look! It is pretty amazing how many things one can do in such a small space. From styling it to planting, anything is possible in my balcony. Hope you like this and let me know how are you using your balcony. Do you have any big plans for that space? Share your thoughts with me. Thank you Judith and Igor for this month’s theme. Looking forward to next month’s challenge. Oh wow, Gloribell! I love the make-over of your small balcony and the lush green pictures. They are stunning! 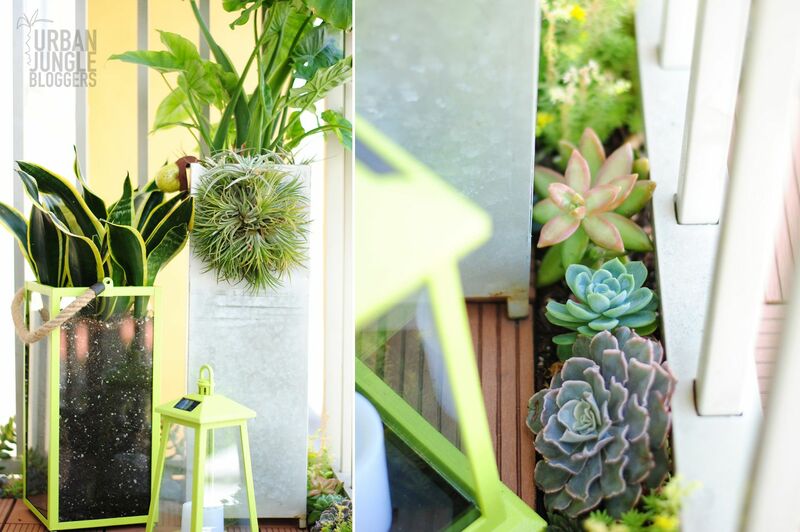 Filling the edge between your tiles with succulents is such a great idea and the vertical herb garden matches so well with the color scheme you chose for your balcony. Thanks for sharing it and being part of our Urban Jungle Bloggers family! And by the way, you look great in the pics over at Home Depot! Ohhhh that is such a nice compliment, Judith. Thank you so much for taking the time to stop by and leave such a lovely feedback. Can't wait for next month's theme. My goodness, Gloribell! This balcony styling is like an art piece! I have to go over and over again to spot all the details! Bravo! You've truly enriched our April edition! Thank you & cheers from Israel! Ive said it once and Ill say it again…..LOVE this space. SO SO SO gorgeous. The devil is in the details and you totally nailed it! Thank you so much Shavonda for always having the best compliments. You know I love details!!!! Have a lovely day!